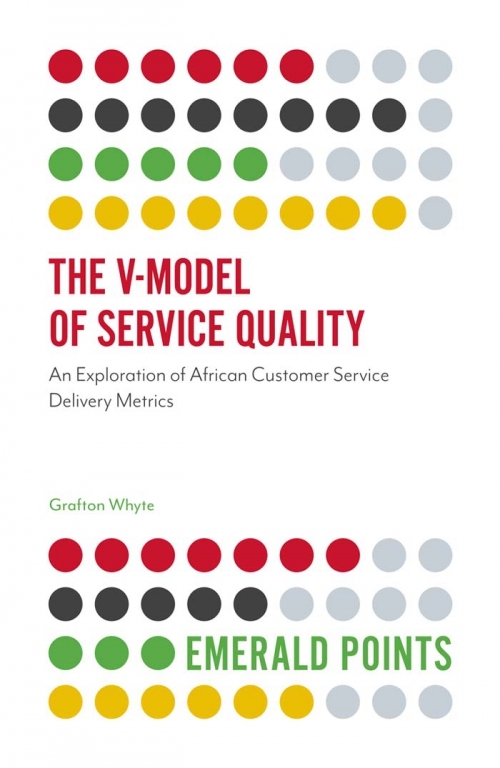 Grafton Whyte introduces and explores a new academic theory for customer service delivery for Africa, aimed at addressing issues of poor customer service and poor service delivery. The V-Model of Service Quality (VMSQ) offers a powerful tool for measuring service quality, augmented by a service exchange model to provide a general framework for services, describe core components and provide contexts within which the VMSQ can operate. The VMSQ provides an indication of where problems may lie in a service operation, and an additional African Management Matrix identifies some of the historical and contextual barriers that need to be overcome by African managers to achieve effective customer service delivery. This book grounds the theoretical interventions in data drawn from case studies in the Sub-Saharan African context to make the models applicable to both researchers and working managers. It looks at the complex question of customer service delivery in Africa, and embraces both concepts of customer service and service delivery. Grafton Whyte is the Director of the Namibia Business School (NBS) at the University of Namibia (UNAM), Namibia. He launched the Customer Service Management Africa organisation for the promotion and research into customer service delivery in Africa and created the first-ever Namibian Customer Service Awards & Conference.